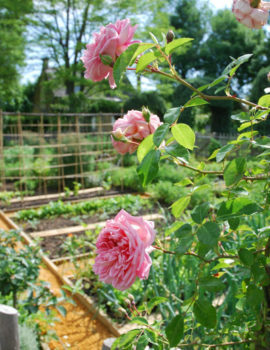 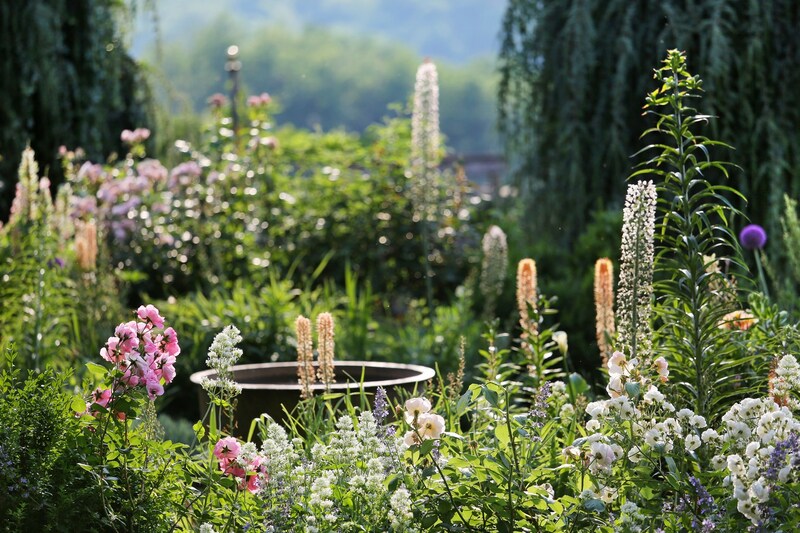 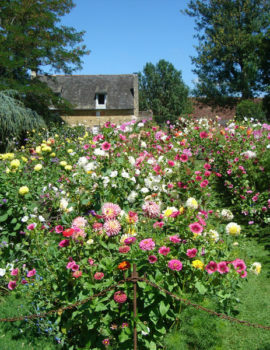 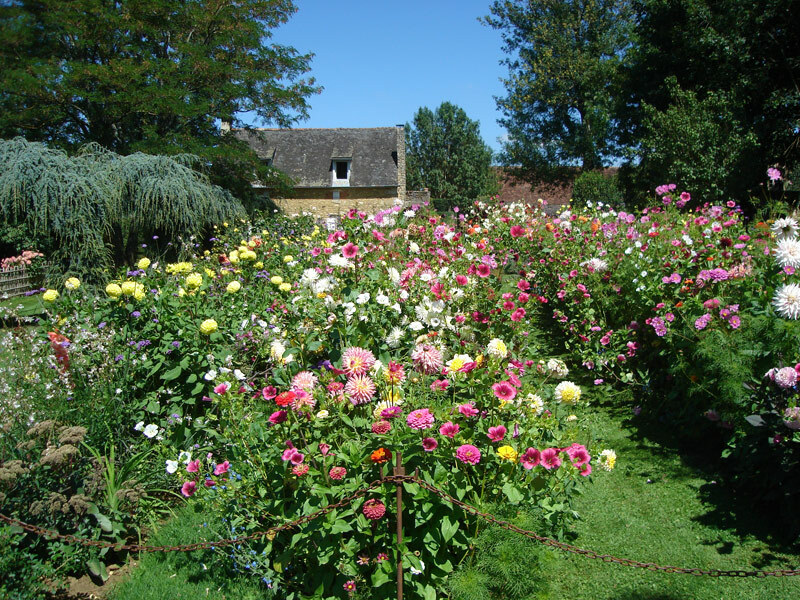 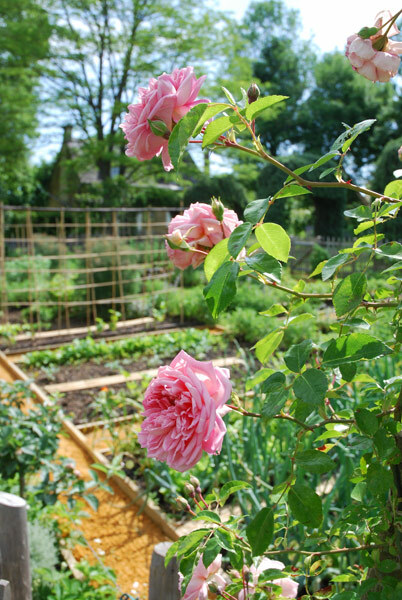 By definition, the flower garden is also called the ‘cut-flower garden’. 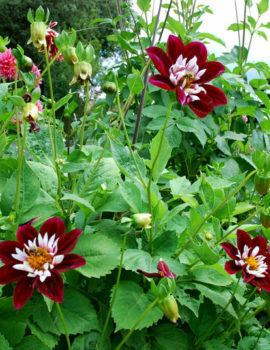 It is where flowers are cultivated which are destined to be cut to make bouquets. 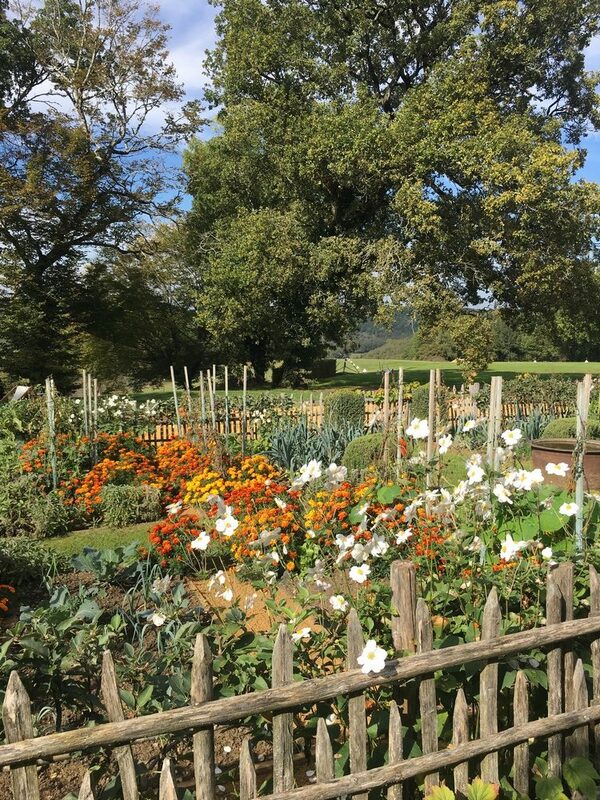 This rural area is characterised by the abundance of vivid colours mingled with the greens of stems and foliage. 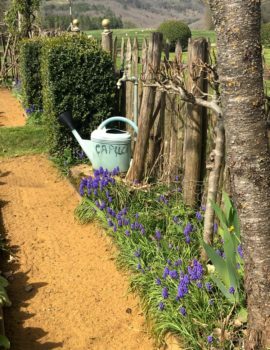 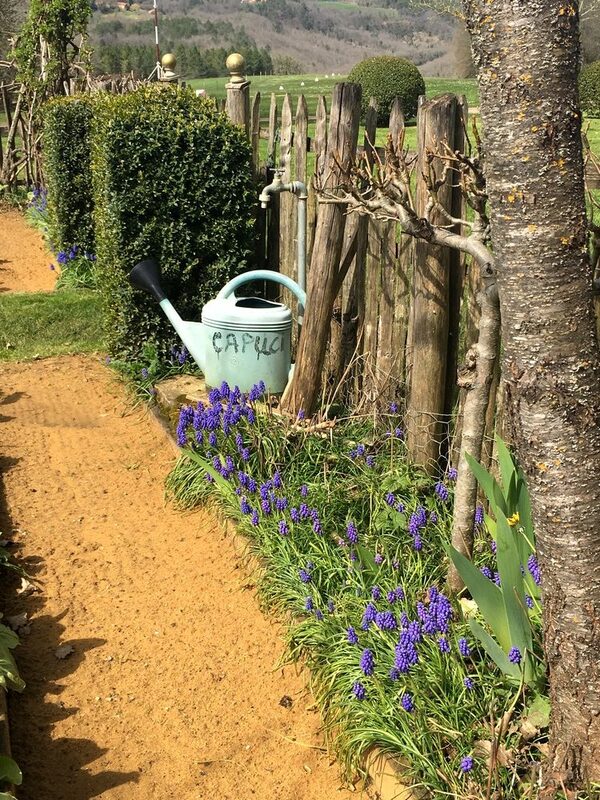 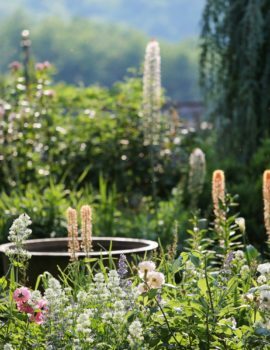 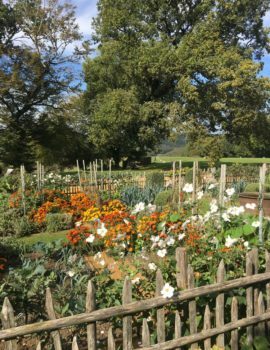 From spring until the first frosts, tulips, alliums, lilies, lupins, alstroemeria, and an important collection of dahlias flower in succession. 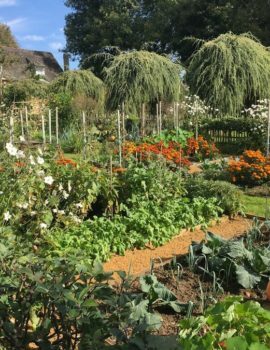 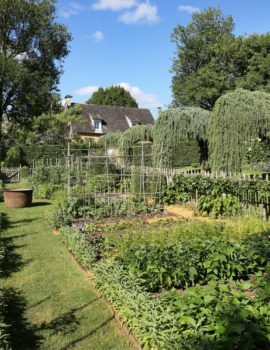 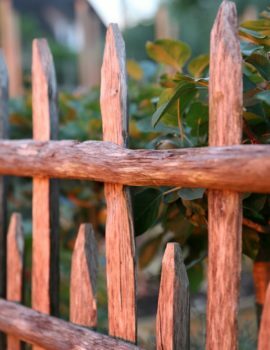 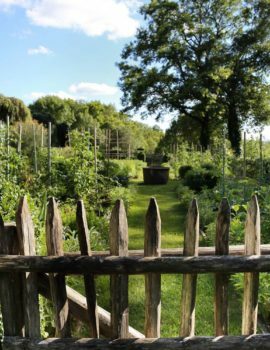 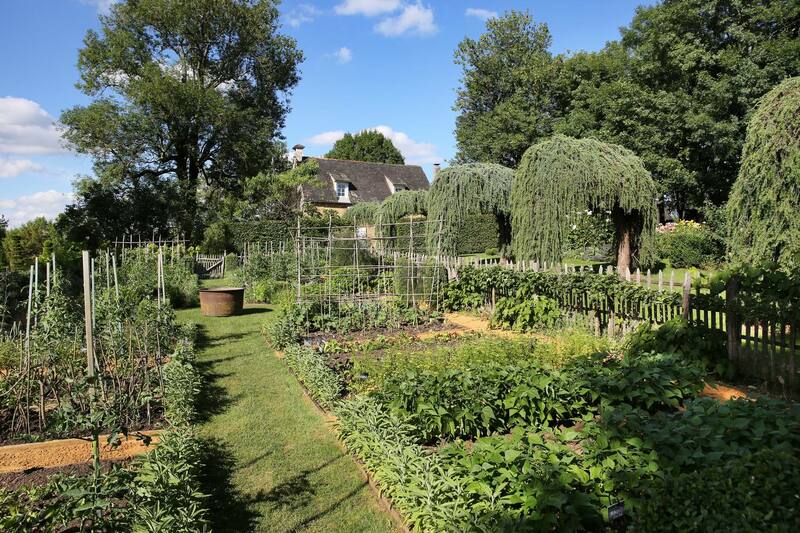 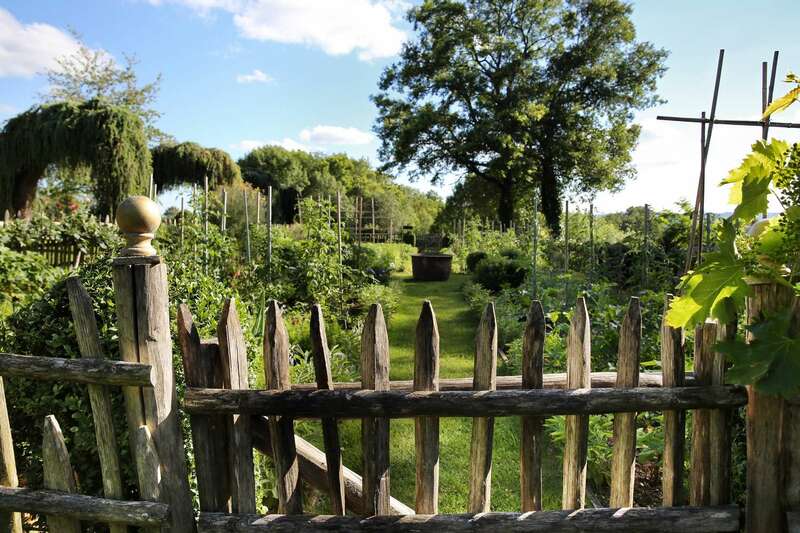 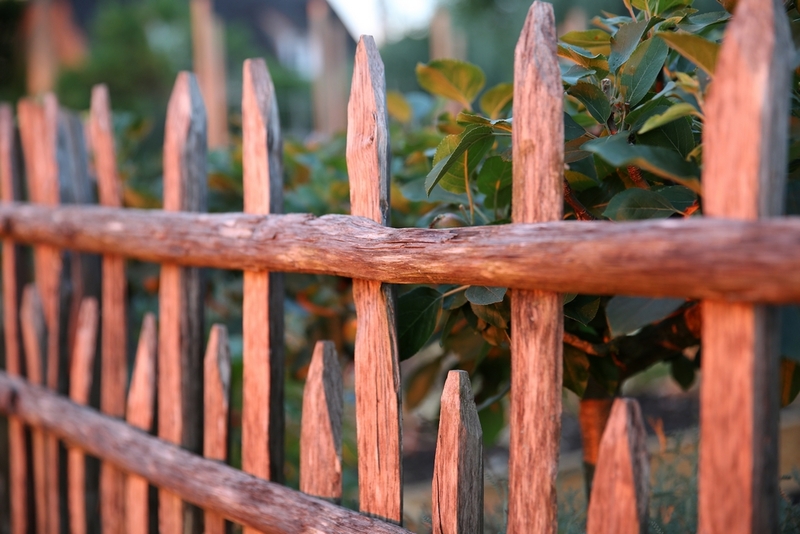 Separated from the flower garden by a walkway overlaid with weeping cedars, the vegetable garden resembles in its composition and by its modest dimensions, the garden of a country priest. 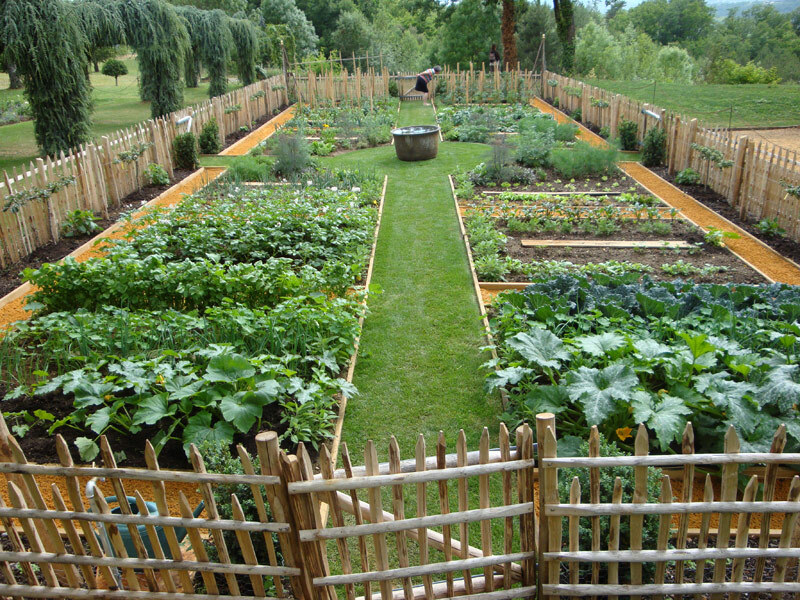 The vegetable beds are organised in four plots separated from each other by two perpendicular paths. 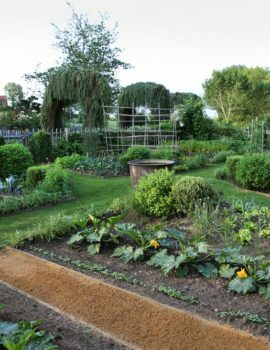 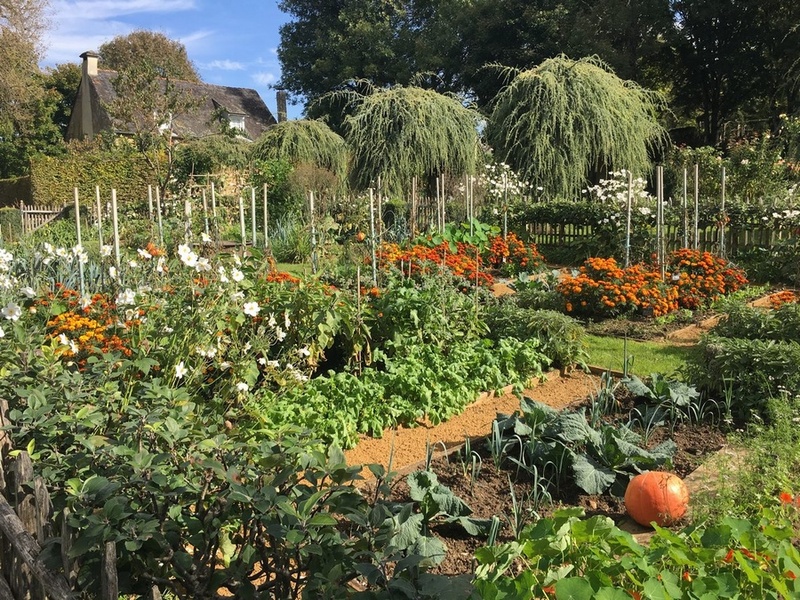 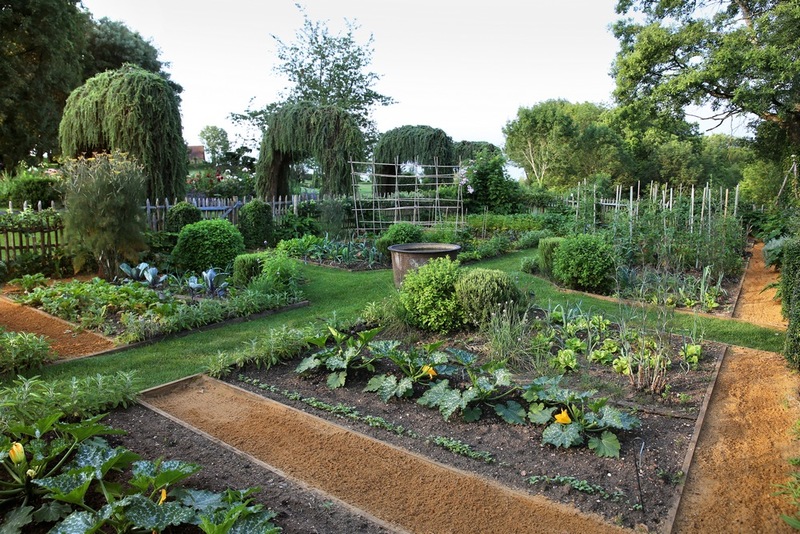 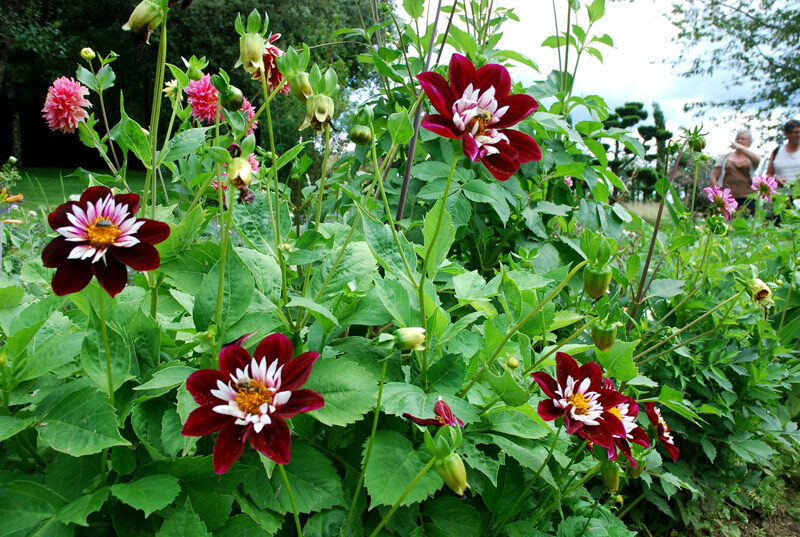 A clever combination of companion planting, mixing vegetables and flowers, is highly beneficial in promoting the cultivation of excellent and delicious vegetables because the flowers act as a repellent or trap to pests. 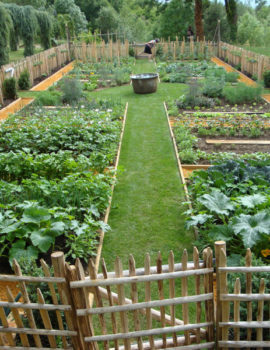 Following the regimes of permaculture, no chemicals are used, crops are rotated, and with appropriate companion planting natural repellents are the last word!